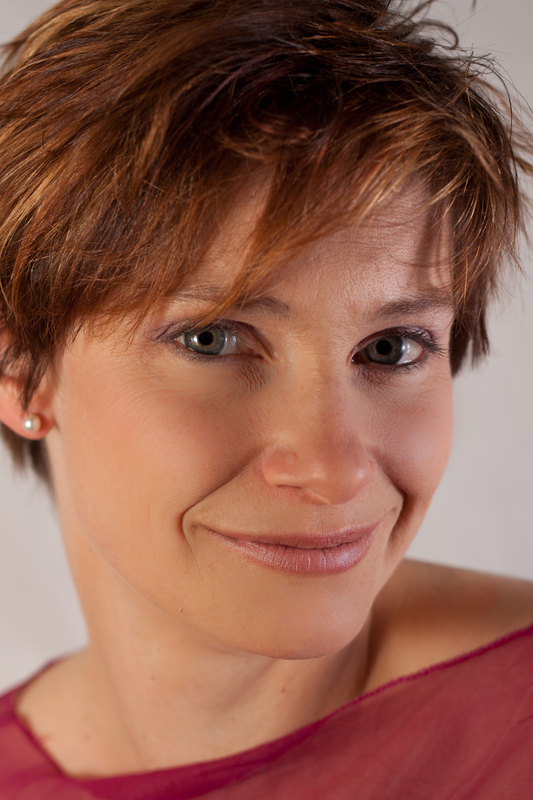 Ulrike now lives near Basle and has performed as a soloist with Singer Pur, Collegium Vocale Gent, L’Arpeggiata, La Chapelle Rhénane, L’Orfeo Barockorchester and Cantus Cölln amongst others and been directed by Andrew Parrott, Philippe Herreweghe, Christina Pluhar, Andrea Marcon, Gustav Leonhardt, Manfred Cordes, Hans-Christoph Rademann and Jörg-Andreas Bötticher. In addition, Ulrike regularly has the opportunity to live out her love of acting on the opera stage and she performed, amongst others, in the theatres of Basle and Bern. Roles include Calisto in Cavallieri’s Calisto, Galatea in Handel’s Acis and Galatea, Euridike in Monteverdi, Gluck and Telemann’s Orpheus and all the female roles in Purcell’s Dido and Aeneas. In 2013 she took up an invitation from the Boston Early Music Festival to sing the title role in Handel’s Almira. Currently Ulrike devotes much of her energy to the baroque ensemble ‘savādi…’, with whom she won the York Early Music Competition in 2003 and the Van Wassenaer Concours in The Hague in 2004. (www.savadi.net). She directs larger-scale projects with the newly founded ensemble &cetera (www.ensemble-etcetera.com). Ulrike enjoys exploring new and unusual repertoire covering different epochs and styles, but she especially enjoys the early 17th century ‘recitar cantando’ style. Ulrike is particularly interested in heightening the emotional impact of the text and music with the use of gesture, musical rhetoric and ornamentation. “Superb Early Music specialist” – the words used by the “Süddeutsche Zeitung“ to describe the stage presence of the harpsichordist Olga Watts. She was born in Moscow in 1973 and began her studies with piano and musicology at the Moscow Conservatory, later taking up the harpsichord at the Music Academy in Munich under Professor Lars Ulrik Mortensen and Christine Schornsheim. She was awarded her degree with distinction in 1998, and in 2003 received her masterclass diploma. Masterclasses with Menno van Delft and Bob van Asperen, as well as collaborations with Reinhard Goebel, Franz Brüggen, Thomas Hengelbrock, Giovanni Antonini, Alessandro de Marchi, Sergio Azzolini, Andreas Scholl, Maurice Steger, Dorothee Oberlinger, Vittorio Ghielmi and Albrecht Mayer were very influential for her. In 1997, she won first prize as Bavarian Young Musician of the Year in historically informed performance practice. In 2002, she and her ensemble Lyriarte won second prize at the Johann Heinrich Schmelzer Competition (at the Melk Foundation, Austria), and second prize at the international chamber music competition for historical instruments “Premio Bonporti” in Italy. Since then she has performed as an acclaimed soloist and chamber musician throughout Europe, in Australia, China, Hong Kong, Singapore and South Africa. Olga Watts is a renowned continuo specialist, performing as an accompanist on the harpsichord, she has competed in the international Bach Competition in Leipzig and at the ARD Competition in Munich. As a continuo cembalo player, Olga Watts took part in the world’s first ever recording of the violin sonatas of Geminiani op. 4 and Veracini op. 1, and the complete “Mystery Sonatas” of H.I.F. Biber in a live recording by Oehms Classics. Since 2005 Olga has held the position of repetiteur at the University of Music and Performing Arts in Munich, and since 2010 she has the same position at the Mozarteum University in Salzburg.